Welcome! Let’s get your WorkPlace setup. 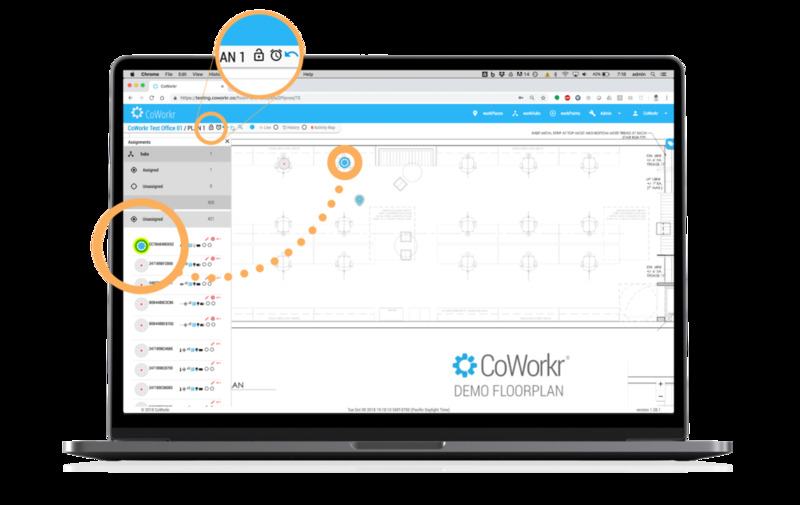 We’re going to walk through the steps to connect & place your new WorkPoints onto your FloorPlan on CoWorkr’s App. You’ll want to do Step 3 and on at the location where the WorkPoints will be used. For more detail in WorkPlace setup, visit our support tutorials by clicking the blue Support Icon at the bottom corner of the App’s window. Note: If you’ve bought coworkr hardware a la carte and not a sample kit, you’ll need to create a workplace! This quick tutorial does not cover creating a WorkPlace from scratch. For more all steps in creating a workplace, please check out the support that’s built into CoWorkr’s App. There’s a blue button at the bottom of the dashboard that you can expand for accessing chat with CoWorkr & FAQ/Tutorials. Note: If there’s no Floor Plan uploaded or you want to upload a new one, Click ADD FLOORPLAN to upload your own. For more information, check out the WorkPlace Setup | App section of our Support’s FAQ. Note: You should have at least 1 Hub and several WorkPoints. Note: Using the WorkPoints requires that your Hub is connected. On your WorkPlace page, click on the “Hubs” tab to see if your Hub is online. To find out more about hubs, check out the WorkPlace Setup | Hardware & WorkPlace Setup |App sections of our FAQ located via the support button at the bottom corner of the dashboard. Note: When a WorkPoint button has been pressed, the LED indicator light will turn on for several seconds. If nothing is happening, the device may be damaged or contain a dead battery. 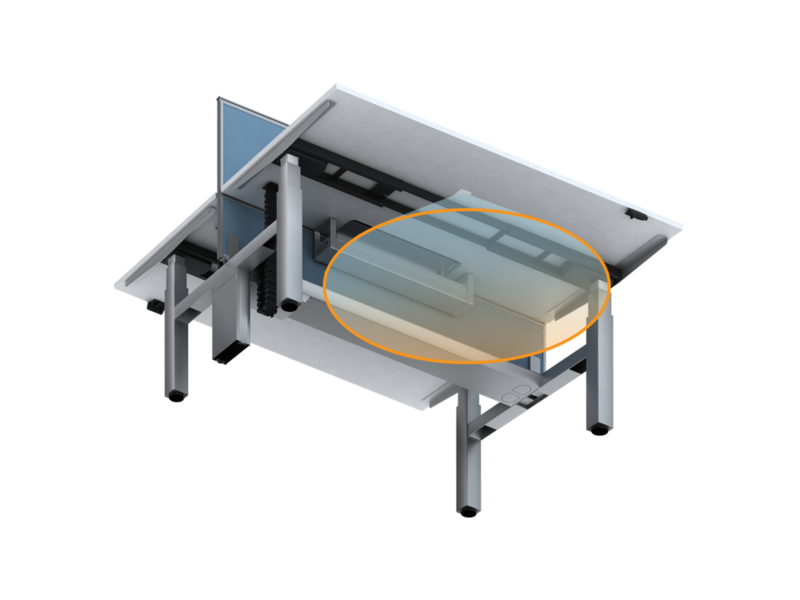 Note: For installing on desks, place the WorkPoint towards the back of the desk’s underside with the “arrow” opening of the sensor pointed towards the worker. For more tips on installation best practices, check out the WorkPlace Setup | Hardware section of the support, located via the support button at the bottom corner of the dashboard. Note: For installing on ceilings, stick the WorkPoint to non-porous surface, like a ceiling tile frame. WorkPoint adhesive will not adhere to foam ceiling panels. For more tips on installation best practices, check out the WorkPlace Setup | Hardware section of the support, located via the support button at the bottom corner of the dashboard. You’re done with the physical installation. But, before you go, take some notes about the space. You’ll want to add Tags and Links to the WorkPoints to help describe the work settings. Think of tags like hashtags; you add them to WorkPoints to help characterize the location for the purpose of sorting data. 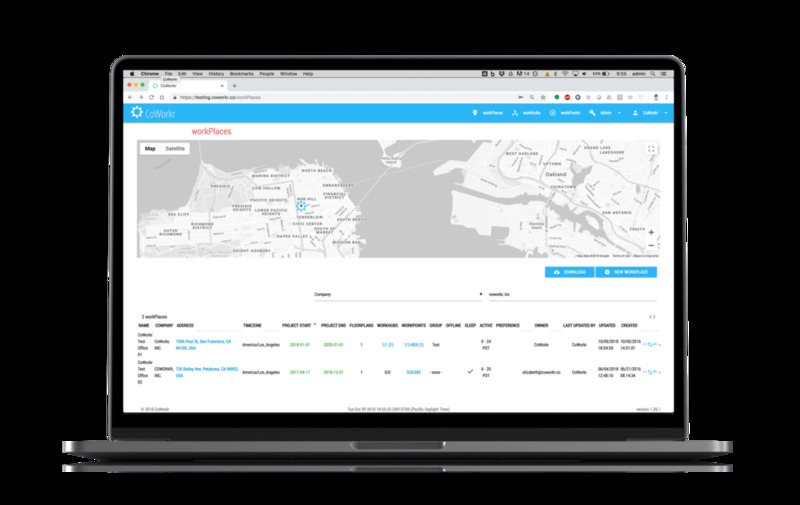 Links allow you to connect several WorkPoints into single Sensor - so if any are triggered, they’ll all indicate the occupancy status. Note: You don’t need to be at the physical site to complete this - you just need to know enough about the workplace. If you’re not familiar with the space, take some photos or take some notes before you leave. Or add tags while you’re on site. Note: 1) as stated above, you don’t need to be on site to add tags - it’s all done through the App. 2) You can tag multiple WorkPoints at once — and you’ll want to do so in order to save time! For more detailed information about tagging, check out the “Adding Tags & Links” in WorkPlace Setup | App section of the support, located via the support button at the bottom corner of the dashboard. Introduction: A “Tag” is defined by a tag category and a tag. The category groups multiple similar tags. For example, “Furniture” may be a category where as “Eames Chair” may be the tag. Under the furniture category, you could create many different tags, like rolling chair, lounge chair, wood chair, bench, desk, sofa, etc. There are no limits on tags but keep in mind that you want to use this to help create clear and concise conclusions so don’t clutter your data with tags you’re not interested in using! Note: You don’t need to Tag "Floor” names. This is autogenerated by CoWorkr. Tip: To speed things up, when Selecting WorkPoints, make sure to select all similar WorkPoints by either dragging over all of them or Shift + Clicking them to add them to a single selection. For Example, start by selecting all the WorkPoints in a single space, and add a tag called “space/open office” or “department/public relations”, then work your way into more unique spaces and tags. Now move onto the next category and continue. Data will now be sorted by these tags when viewed in the Analytics. If you’d like to remove tags, click the X button next to any existing Tag. Introduction: Links are used to combine multiple WorkPoints into a single sensor. 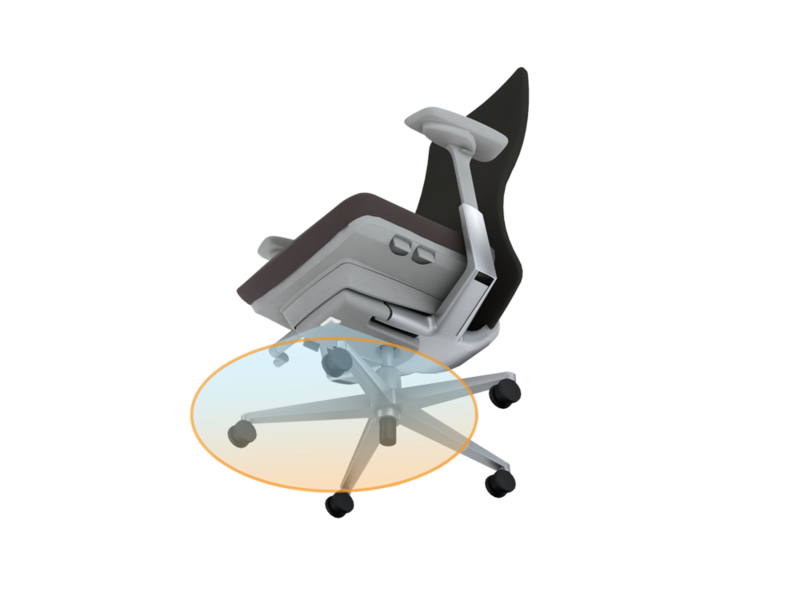 For example, in a conference room, if all chairs have WorkPoints and are linked, if any chair is moved all the chairs (or the entire room) will show occupied. This can be useful for easily discovering total room occupancy in our Analytics. 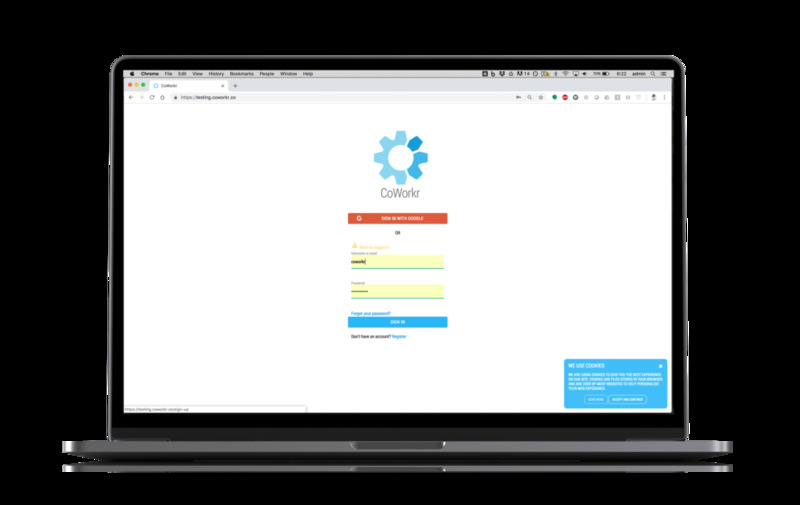 When Links are created between multiple WorkPoints, you’re not sacrificing the granularity of having the data from each WorkPoint — this is still available. It simply creates a new set of data the Link. When viewing your Analytics there is a toggle button for switching between showing Linked WorkPoints or Unlinked WorkPoints. Clicking Unlinked would show the conference room’s individual chair occupancies wherein Linked would show the room itself. Tip: Add links right after you install WorkPoints. Creating a Link is like creating a new WorkPoint with a stream of data. That’s it - the Link has been created. To unlink these WorkPoints, simply select them and click the Chain Icon again to break the link. For more detailed information about linking, check out the “Adding Tags & Links” in WorkPlace Setup | App section of the support, located via the support button at the bottom corner of the dashboard. Once your WorkPoints are placed on the FloorPlan, data collection will begin. It’s good practice to let the WorkPoints collect data for 24 hours, then come back to review data to ensure its quality. If you’re having trouble at any point, please reach out to support@coworkr.co or check out the support material located via the support button at the bottom corner of the dashboard.